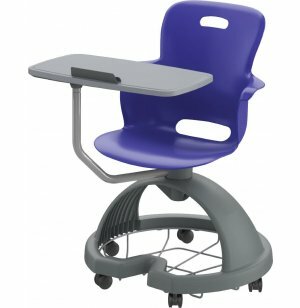 These student chair desks offer a good fit for both right and left handed students. The large tablet surface provides plenty of room for digital materials or a notebook. 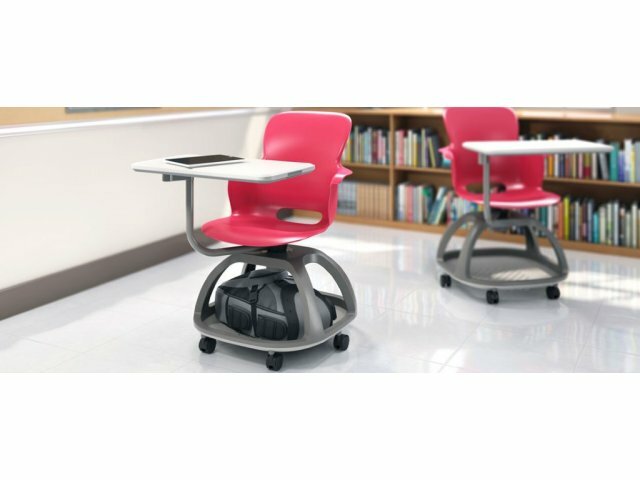 The quad base conveniently stores a backpack within reach, so students have easy access to everything they need. 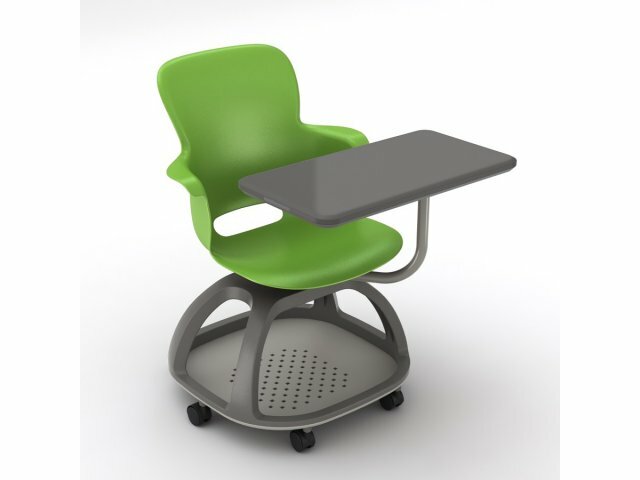 Ethos Mobile School Chairs are designed for 21st Century learning. They easily roll into position to facilitate smooth transitions. Moving from lecture-style instruction, to collaborative activities, to small-group work is seamless when students can easily re-position themselves in a matter of seconds. 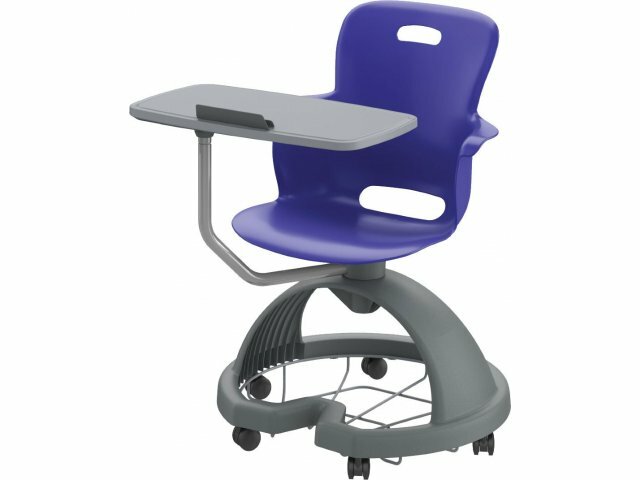 High school students spend many hours sitting in school chairs so you want to make sure they have proper support throughout the day. 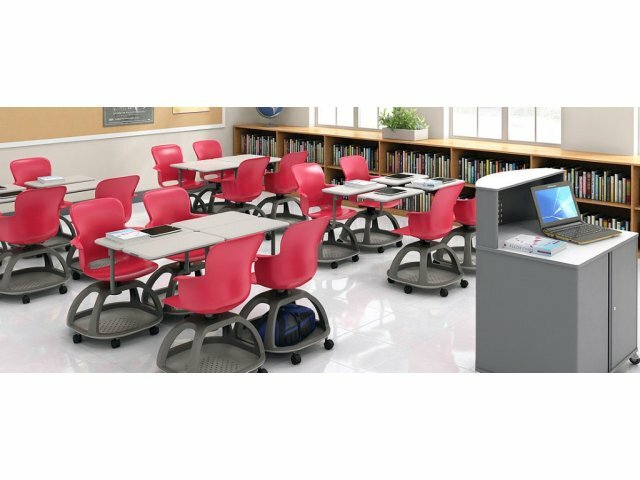 An ergonomic design including lumbar support promotes healthy positioning while a full-swivel seat facilitates comfortable viewing in all directions. 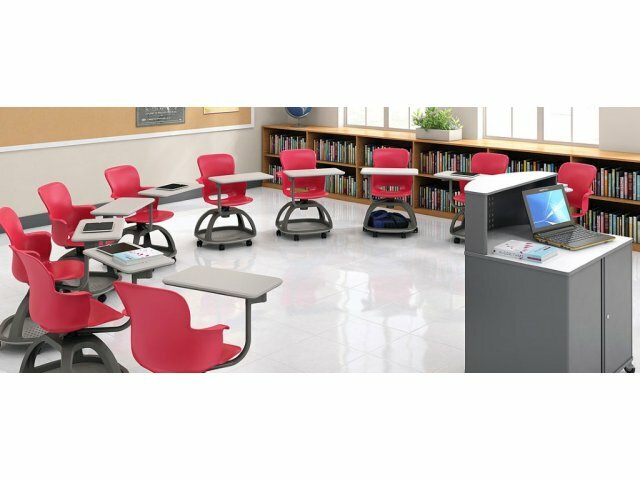 When it comes to flexibility and support, the Ethos is an excellent choice for dynamic classrooms. Accommodating: Non-handed tablet surface adjusts for right and left handed individuals. Extra pivot point offers greater adjustability. Versatile: Large work surface accommodates an iPad, tablet or printed materials. Convenient Storage: Quad base has an oversized opening that fits a backpack comfortably. Ergonomic Design: Built-in lumbar support helps students sit properly. 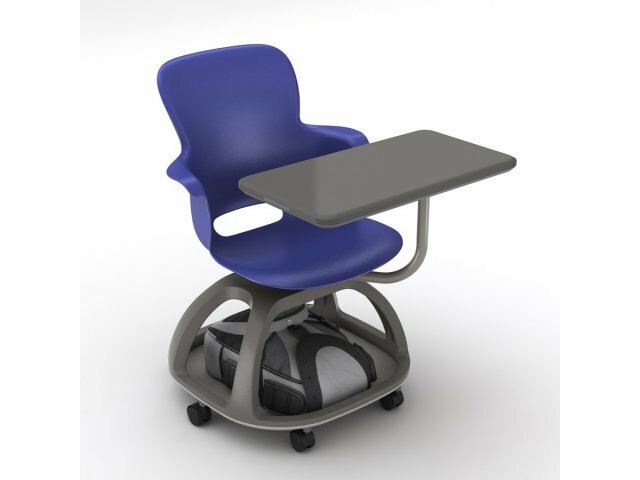 Full View: Seat swivels 360 degrees for clear sight-lines between students, instructors and visual content. 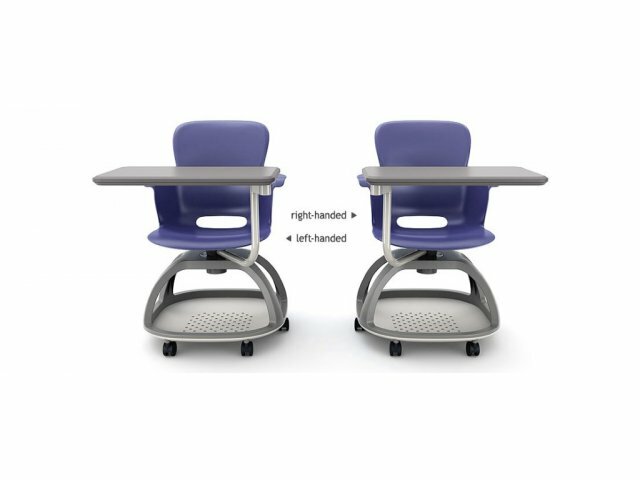 Flexible Positioning: Hard-wheel casters allow for seamless transitions between classroom layouts. Vibrant Choices: Available in a selection of colors.